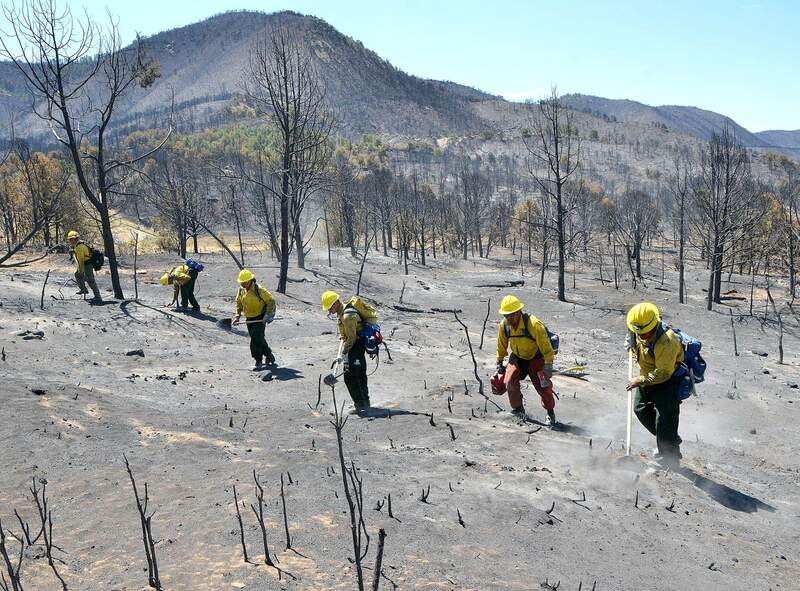 Extreme drought conditions across the state, which has exacerbated wildfires such as the Weber Fire near Mancos, has led the U.S. Department of Agriculture to declare most of the state a primary natural disaster area. The U.S. Department of Agriculture has designated all Colorado counties, except for San Juan and Delta, as primary natural disaster areas because of losses caused by the drought currently afflicting the state. The designation gives all qualifying farms access to low-interest emergency loans from the USDAs Farm Service Agency. Delta and San Juan counties were designated contiguous disaster areas and farmers in those areas can also apply for the loans. Colorados U.S. Sens. Michael Bennet and Mark Udall wrote a letter to Agriculture Secretary Tom Vilsack in June asking for federal assistance for Colorado farmers and ranchers. As producers continue to operate under what the U.S Drought Monitor has found to be extreme drought conditions in much of the state, it is critical that we deploy the resources necessary that might minimize the damages from this looming threat, the letter said. Farmers have to show a 30 percent loss to qualify for the 3.75-percent interest loans, said Scott Miller, farm-loan specialist with the Farm Service Agency. Farmers have eight months from the date of declaration to apply for the loans. Local farmer Philip Craig said he will probably apply for the loans after he sees how much his second batch of hay produces. Craig owns a ranch on Florida Mesa and saw about a 70 percent loss in hay in his first batch. His ranch had about half the normal supply for irrigation water because of the low amounts of snowfall this year. The long, hot, dry spring with no moisture basically burned up everything that was trying to grow, Craig said. One of Craigs customers had to go elsewhere for hay, and they are not alone. Horse owners who cant find hay or whose hay growers have run out have been calling the Spring Creek Horse Rescue for hay, owner Diane McCracken said. She is encouraging horse owners to stock up on hay for the winter now because they may not be able to find any come December.